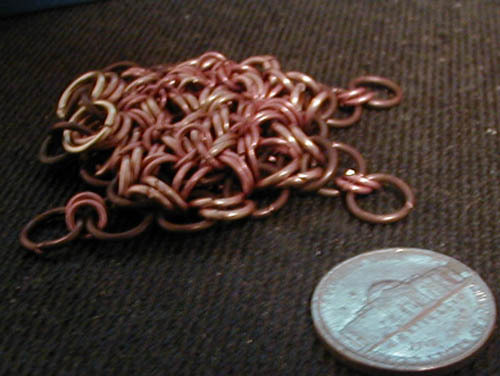 This is my chainmaille pet for the moment. His name is Caligula the turtle. He is made from 1/4id, 3/16id and 1/8id rings, bronze (except his eyes and mouth). The original idea for a turtle was created by Chao.